CREATe’s Andrew Black and Judith Rauhofer reflect upon their trip to the 2014 BILETA conference. 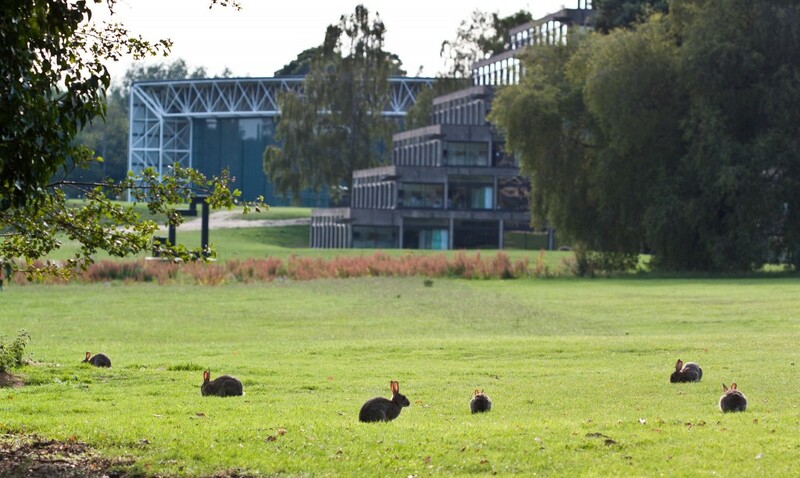 The UEA campus certainly had lots of bunnies! This year’s BILETA conference took place at the beautiful (and bunny filled) UEA campus in sunny Norwich and saw a memorable three days of presentations by a fantastic array of speakers. The setting for the conference was the newly refurbished UEA law school building, opened after renovations just three weeks before our appearance in mid-April. In that regard a huge ‘well done’ has to go out to the conference organiser Dr Karen Mc Cullagh: arranging a conference at a venue that doesn’t even exist yet must have been a daunting challenge! There was an impressive CREATe turnout at the event, including (alongside this post’s authors Andrew Black and Judith Rauhofer), Lillian Edwards, Daithi Mac Sithigh, Burkhard Schafer, Victoria Stobo, Edina Harbinja, Tom Phillips and Christian Geib. It was invigorating to see so much CREATe engagement in Bileta over the three days and to witness the various project outcomes being shared with a highly qualified audience. The conference took place on 15 and 16 April 2014 with 63 papers addressing the conference theme: ‘Legal Regulation & Education: Doing the Right Thing?’. The papers, presented across three parallel streams, managed to cover a huge amount of ground, with the presentation topics ranging from Google Glass and ‘creepshots’ to Chinese cybercrime crackdowns and encompassing subjects as diverse as the streaming of pornographic movies and the emergence of the ‘Internet of Everything’ (because the ‘Internet of Things’ is so last year already…). One talk even featured live drumming to drive home the message on copyright sampling! It certainly caught the audience’s imagination. With so many talks, it is of course only possible to highlight a small sample of the presentations. On the theme of copyright there were a number of standout talks across the two days, kicked off with an excellent first presentation of the conference by Edinburgh University’s Dr Chen Wei Zhu. In his paper, exploring the application of copyright tradition to the ‘digital humanities’, Chen addressed the challenges posed by mass digitisation and text/data mining. He highlighted the difficulty of adapting a copyright regime developed in an age of scribes and printing presses to the digital world that has reshaped many of that regime’s unspoken assumptions. In doing this, Chen’s talk introduced many of the contemporary issues that were to be a recurring theme across the conference as a whole and which picked up on a number of issues that are currently being explored by CREATe. Indeed a number of CREATe attendees were presenting on copyright-related topics at the conference, beginning with Burkhard Schafer who followed up Chen’s talk in his trademark engaging style with his paper on copyright and disability. 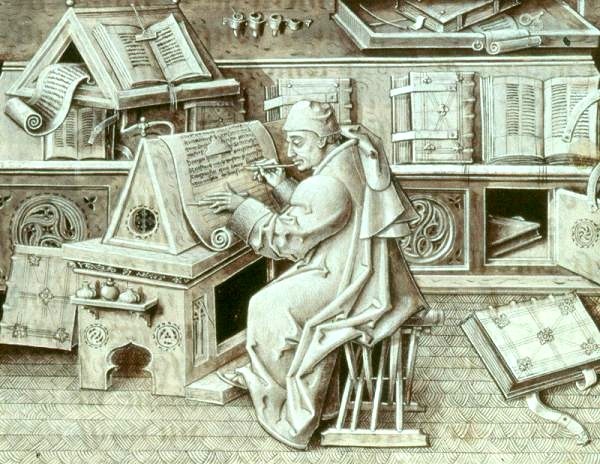 Schafer argues that while technologies have the potential to greatly assist in the daily lives of those with disabilities they often create tension between the technical solutions that they propose and the existing legal framework. Microsoft’s Sensecam, for example, takes and processes pictures automatically as the user goes about their daily life. The potential for this visual record to help both carers and vulnerable individuals, particularly those with memory impairments, is huge. Nonetheless such technology may run into difficulties with the data protection framework and can cause copyright difficulties if it records images of protected works in museums, galleries, or other similar spaces. On this subject Burkhard’s talk raised issues that were both intellectually interesting and practically relevant in today’s increasingly technology-assisted world. CREATe was also represented by Victoria Stobo, who gave an illuminating talk on copyright and cultural heritage. In particular, she looked at the difficulties of rights clearance for archives, libraries, and other similar institutions involved in digitisation and argued in favour of a risk-based approach to copyright compliance in order overcome the huge logistical challenges of clearing each and every license individually. Given the challenges of copyright and the importance of cultural institutions her presentation made a powerful argument. The intersection of copyright and data mining touched upon by in Dr Chen Wei Zhu’s opening talk was also explored by CREATE’s Christian Geib. In his paper Christian argued that data mining faces significantly higher copyright obstructions in the EU than it does in the US. To address this he suggested both promoting an EU-level copyright exception for commercial and non-commercial data mining alike and also the expansion of the UK fair dealing concept to take into account the notion of ‘transformative’ use. With the data mining sector only likely to continue growing in the future this was a timely consideration of a developing field. 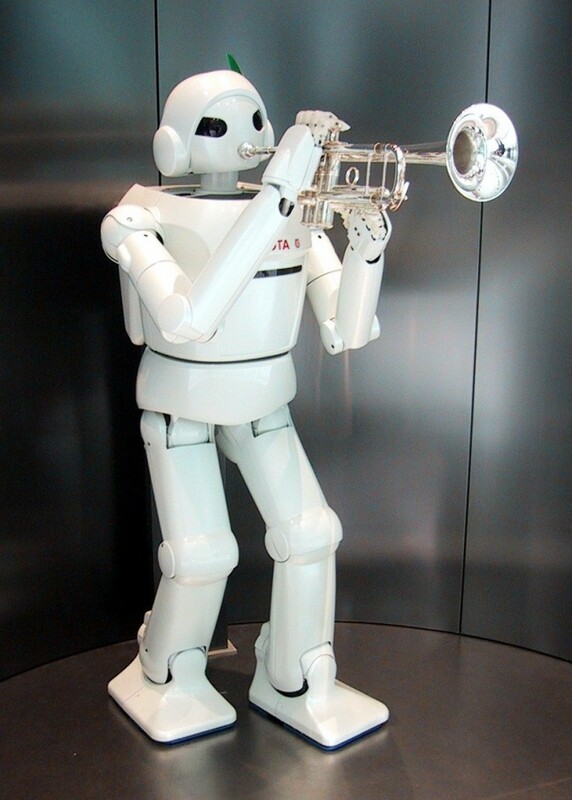 Who knows what robots will help people with in the future? CREATe talks were also included in several other streams where the interactive relationship between copyright and other issues arising in the online environment was apparent. In her presentation in the technology, privacy, and regulation theme Edina Harbinja made a novel (and persuasive) argument about the legal status of in-game assets in virtual worlds. In addition to exploring whether in-game assets could be governed by the laws of property or intellectual property Edina also looked at what happens to virtual assets upon death. In order to reconcile the diverse interests in this area and strike a balance between the game developers and players Edina proposed a fresh solution: the application of the law of servitudes to virtual assets. Not only was this an interesting and well presented argument, Edina also went on to win the conference prize for the best postgraduate paper – a well deserved accolade! Another talk by CREATe’s Daithi Mac Sithigh explored whether the video games sector should have a special or distinct legal status, whether in terms of the copyright regime and/or other fields of law. He spent the bulk of his presentation reflecting on the lessons learned from the (successful) campaign for tax relief for game development in the UK, arguing that in the face of criticism of over-regulation the campaign demonstrated the value of statutory status for games in some contexts. The other two main points made were (a) the increasing impact of consumer protection law on the game sector (most notably the Office of Fair Trading’s work on in-app purchases) and (b) the continuing debate on the relationship between the Information Society Directive and the Software Directive at EU level, still being worked out through Court of Justice decisions. Indeed, that last point was the subject of an interesting debate after the presentation, not least because Dr. Martina Gillen (University of the West of England) presented her research on the tricky topic of anti-circumvention (modchips) and copyright law, which had also arisen in Daithí’s talk. Our own presentation on tracking, trust and online choices took place as part of a series of talks that touched on the subjects of regulation and privacy and focused on privacy issues arising in the context of the prevailing “free-at-the-point-of-access” business model used by many online services. It is clear that tension exists between that business model – built around offering services for ‘free’ by collecting and monetising user data instead – and the privacy rights and attitudes of consumers, especially when it comes to the online behavioural advertising industry. In light of this our talk explored the legal framework that governs the tracking, mining and profiling of internet users’ personal data and explored both the proposed reforms of the Data Protection Directive and the increasing industry reliance on ‘soft law’ approaches based upon self-regulation. The paper forms the basis for ongoing research into alternative business models such as “freemium services” and others. 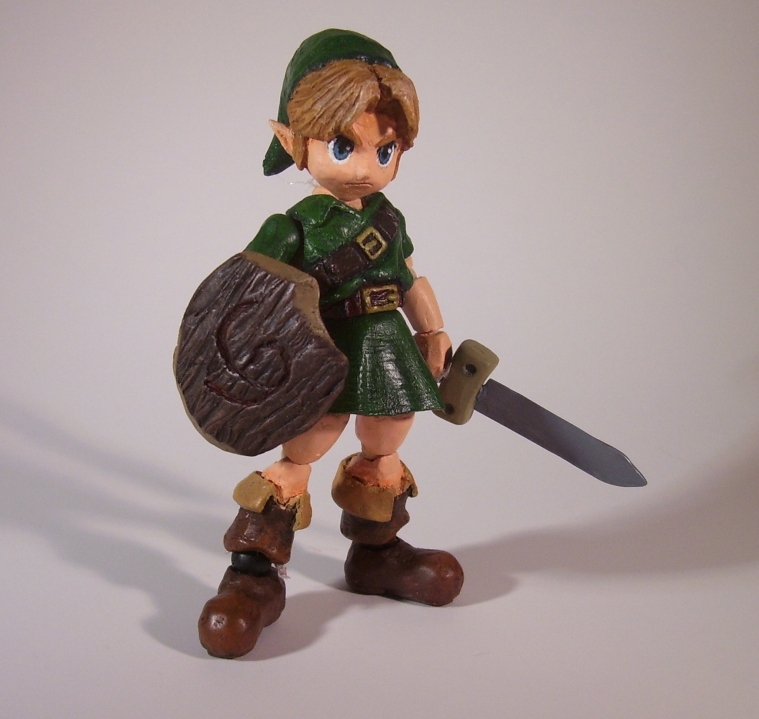 Several talks touched upon videogames and their legal status. Other than CREATe’s, there were lots of other interesting papers. Paul Bernal’s presentation was titled ‘Who Killed Privacy?’ Using a Cluedo-like approach of “means, motive and opportunity” Paul examined often claimed ‘death of privacy’ by exploring who of a group of three different actors might be guilty of having committed the crime. Similarly, Andrew Murray’s talk “A Low-Tech Solution to Teaching: The Book Club as an Educational Tool” made the innovative suggestion to use ‘old tech’ (the book) as a supplementary educational teaching and support tool for the teaching of new tech problems. In his example, he used three classic books, 1984 by George Orwell; A Brave New World by Aldous Huxley and The Trial by Franz Kafka to illustrate different messages about control and direct or indirect governance. The conference theme was also picked up by the two excellent keynote speakers. Eric King from Privacy International gave a speech on recent developments in the area of surveillance while Sarah Glassmeyer, a law librarian from the ‘Center for Computer-Assisted Legal Instruction’ (CALI) in the US, gave a witty talk on the importance of access to information, libraries, and knowledge exchange to the law. Sarah took the audience on a brilliantly fun trip through the legal world by drawing analogies between legal actors and Disney’s Magic Kingdom, culminating in a convincing plea for an open access approach to research. Most memorable from Sarah’s talk, however, was her creative use of Lego images to illustrate her arguments. Overall the conference was a great success and included presentations of an exciting range of work in progress. CREATe presented a fantastic range of material and the feedback from audiences was overwhelmingly positive. Many thanks go to Dr Karen Mc Cullagh for the arrangement of a thoroughly enjoyable conference, and we hope to see many CREATe faces returning next year in Bristol for BILETA 2015!